Forecast & Analysis is a comprehensive analysis of the current landscape of the U.S. corporate training and development industry. 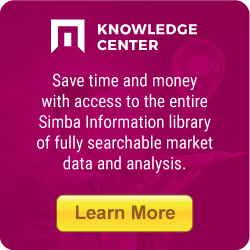 Drawing on interviews and surveys with corporate training directors, business analysts and industry associations, Simba Information presents in-depth forecasts for growth opportunities through 2009. Plus, our exclusive profiles of the 30 leading training software and LMS providers competing for corporate training dollars, detailing key strategic and financial performance. Rely on Corporate Training Market 2006: Forecast & Analysis to be your guide to present and future trends shaping this dynamic industry.